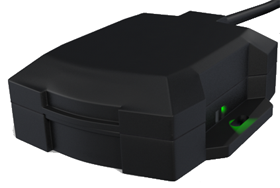 The G5 is a next generation live vehicle tracking system, providing you with 10 second vehicle tracking. The G5 combines into one small package - a highly sensitive GPS receiver that works where other GPS vehicle tracking systems fail. Powerful reporting capabilities, instant automatic alert notifications, and customer support that counts. Our effective GPS vehicle tracking systems allows you to locate your vehicles and assets location NOW, not where they were a few minutes ago. It's automatic - no locate buttons to press, watch it live on your computer or mobile device. A GPS tracker that updates by the minute actually delivers location data based on the past. The longer the interval between position updates, the less accurate reporting becomes. Location information, mileage, pre-set boundaries, alerts and more are compromised when update frequency is limited to minutes. 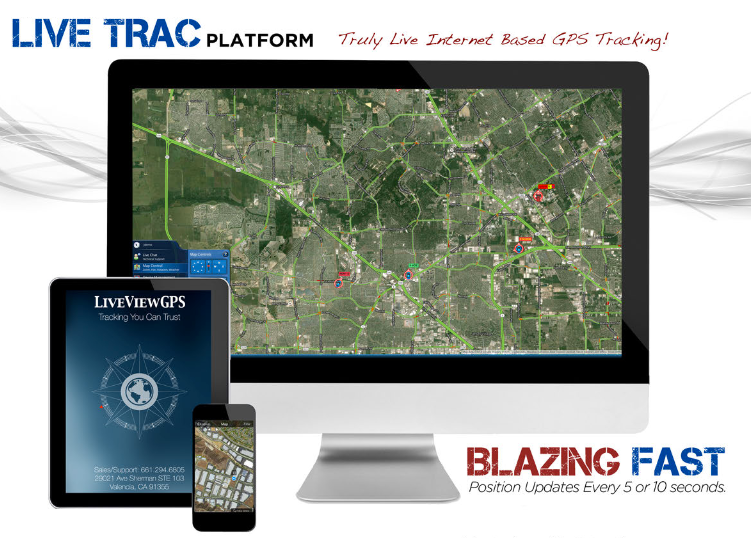 Join the thousands of individual consumers who trust the powerful, proven technology behind Live Trac GPS tracking solutions. Gain peace of mind knowing you are doing all you can. Whether you are protecting a loved one, tracking your teen driver, looking for the truth, or you are concerned about your personal safety, Live Trac is your second set of eyes. With a range of affordable models including small, lightweight devices you can easily and covertly attach anywhere, you are sure to find a Live Trac GPS tracker that fits. And with the fastest update speeds available, an easy to use web interface, and detailed reporting tools, you'll never lose touch, guaranteed. Ordering is easy, by phone or online and shipping is discreet. If you're not sure what you need, give us a call! Our expert representatives welcome your questions and will help you choose a Live Trac tracker that meets your needs and budget. 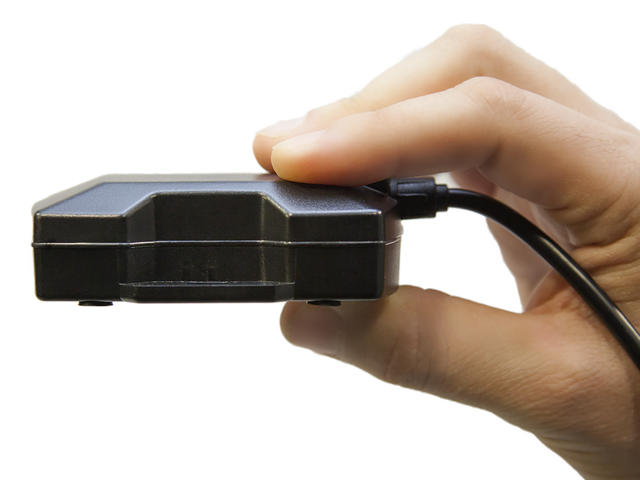 The LiveViewGPS G5 is small hardwired 3G GPS vehicle tracker. Manufactured with a rugged water resistant housing, solid state circuits and 1000 mAh backup battery. The G5 is proven and provides extremely excellent field reliability. Dimensions: 3" x 2.5" x .75"
Input/Output: 1 input, 2 output. i.e. Starter disable, unlock door, etc. Whether you are using the G5 for for professional or personal use, this is the easiest most advanced GPS tracker system you will ever use. October 21, 2017 by Geoff W.
Great product and at a great price. Very accurate and love the features and playback history options. August 31, 2017 by Jason W.
I'm really happy with the product. It gives me peace of mind knowing where my equipment is at all times. March 2, 2016 by Michael W.
Well known for great service. great customer service. February 17, 2016 by Ed D.
Live View GPS was extremely helpful from the very start. Excellent product excellent customer service! February 10, 2016 by Michael G.
We have installed the LiveView GPS G5 system into a few of our patrol vehicles. They have been working well and seem to update approximately every 10 seconds. The actual application online to monitor the units is not the most user friendly in that it is difficult to zoom in the map in relation to the pop up control windows. If you zoom into the control windows, you lose the bottom portion of the window itself making it difficult to manipulate, and the map zooms at the same time. It would be better if they were independent of each other. The phone app seems to be pretty user friendly but has less control functions than the computer version. Otherwise the system has enhanced officer safety, command and control, and accountability. January 31, 2016 by Pam H.
We bought a unit when our son started driving - just to be sure he was safe. We added geofences to make sure he was not in questionable areas, thankfully, notifications were few and far between, but knowing we had this service available provided peace of mind. The reports are easy to use and helpful when you need to review activities and discuss expectations. I have recommended this product to many parents and will continue doing so! 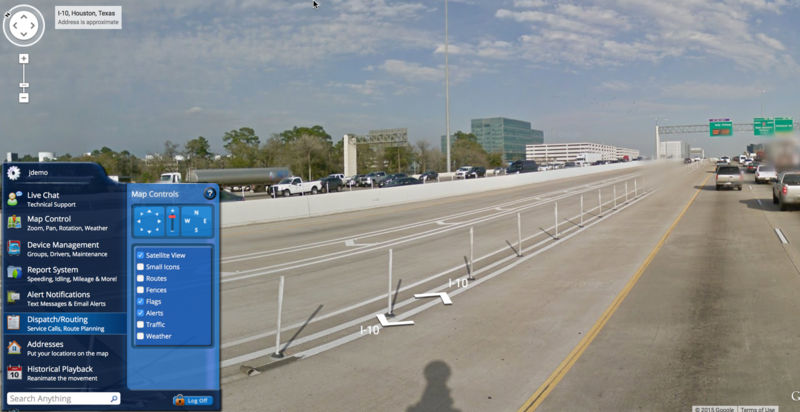 Submitted by a very satisfied LiveViewGPS Customer! November 15, 2015 by Jeremy I. Works great for us. We use it to track our courtesy car we loan out while we service the customers car. We can see where it goes and where it is anytime live or on playback. October 7, 2015 by TOM G.
Everything works out great awesome way to dispatch and track company vehicles. 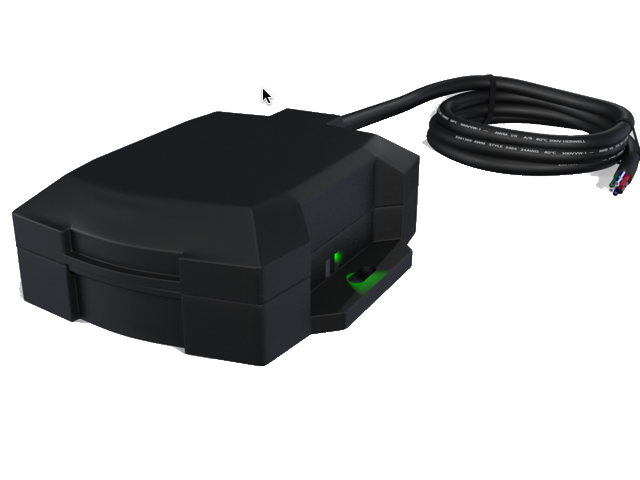 July 21, 2015 by Norm C.
We have utilized the G5 Vehicle Tracking hard wired into the 2 vehicles for several years now and find them to be an excellent product. 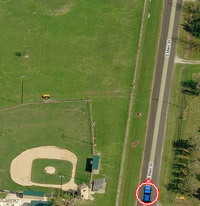 I have the program installed on my phones and can easily locate the vehicles at any time. With this technology I can determine when my other drivers doing EP work will arrive at their destination with the chairman. Excellent product and would highly recommend it for anyone that wishes to keep track of their vehicles. I have also observed the ease of installing the portable units. Thank you for the excellent product. July 10, 2015 by Carmine T.
works well pleased with the service. June 9, 2015 by Ronald G.
For two summers in a row I was riding this beautiful USA covering 25,000 and 32,000 miles for a summer ride. I rode the USA Four Corners (sc-ma.com), visited more than 15 of our famous roads such as Tail of the Dragon in TN and Beartooth Highway in WY. Being a widower, my adult children were assured of my well being when they tracked me daily, via the Live View GPS, on their computers. It is a great product and I highly recommend all riders to have one. June 7, 2015 by Leon E.
When you went to this new system, I hated it. It was I that didn't want to change. After going to this new version, I love it. This is a "top of the line' version. It is very beautiful and gives me the best service that one could ever imagine. June 5, 2015 by Lindsay S.
We have been using LiveView for the past year to track our ambulances that we operate out of our fire department. We serve a number of other towns and travel to hospitals a few towns away. LiveView enables our dispatchers to see where each ambulance is, and most importantly which one is the closest for a pending call. We have not had any technical difficulties since they were installed. 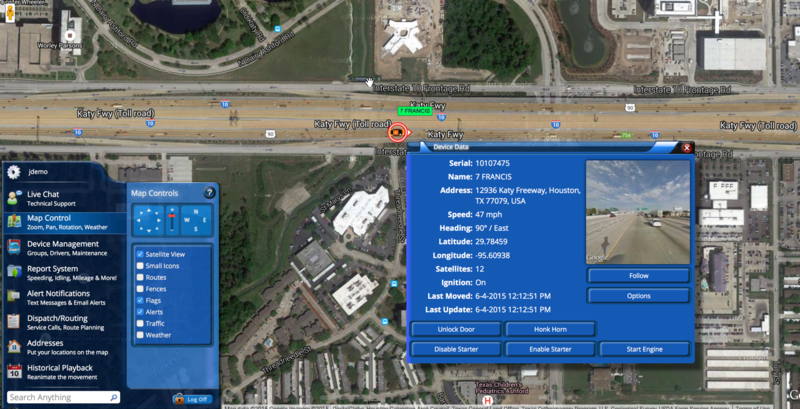 June 5, 2015 by Terry L.
Liveview is a great product that give you the peace of mind to know were your young children Are at when they are on the road traveling or just running around your own town. It allows me to eliminate a lot of worry and sleepless nights. Many thanks to Liveview. June 4, 2015 by Karen S.
The system has been extremely helpful not only to track our vehicles but to also maintain a highest level of efficiency. Thank you! June 4, 2015 by Michael M.
When I purchased a 2013 F350 turbo diesel pickup, I added LiveViewGPS to my vehicle to be able to track it should it ever be stolen. The cost is about $1.00 per day, which I consider a bargain to protect a $50,000 truck. I check the system periodically, and have yet to find it offline. It uses the ATT cell phone network, so if you live in a state where there are any dead spots in ATT coverage (I do), your truck can disappear while the thieves are in those areas. The question as to where to put the transmitter arose and I found the perfect place to be under the seat covers between the posts of the rear seat head rests. The transmitter is tiny and that position gives it a clear view of the sky. June 4, 2015 by Ikie L.
June 4, 2015 by Frank M.
June 3, 2015 by Aaron L.
I had been using another tracking system prior to LiveViewGPS. The problem I had with my other service was the 2 minute ping rates. 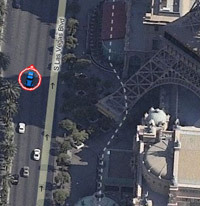 I needed to know exactly where my vehicles were on private properties. Most of the other tracking devices would only show tracking on public roads and all had very low ping rates between 2 to 5 minutes. The Live Trac G5 was the only unit I found in my search that offered up to 5 second ping rates. The accuracy of the devices and the tracking interface was exactly what we were looking for. June 3, 2015 by Sam S.
June 2, 2015 by Eric M.
We used this tracking feature on my elderly father's car. It was a great help to us since he had a tendency to try and sneak out to drive to the store and get lost or forget where the car was. It gave us peace of mind being able to know we could track him and review his movements at a later time in case there was any issues (or dents) on the car. Now that he no longer has his license and is physically incapable of driving, we do not need the service at this time. Would highly recommend this service to anyone who needs to look out for a elderly parent who still drives and may have memory issues. June 2, 2015 by Mike S.
I have used Live Trac for 3 years now and it monitors my kids driving very well. I use several features including the speed alert and geo net and I also review their driving history to track their where abouts. 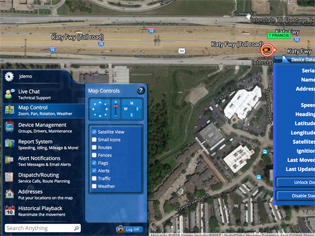 I would recommend this to any parents or business owners tracking their fleet vehicles. I always receive prompt courteous and efficient service. June 2, 2015 by Bryan H.
June 2, 2015 by Yevgeniy R.
It works ok but I wish there was a better way to quickly review the vheicle driving history. Ex quickly by day and possibly color coded by speed. June 1, 2015 by Rich K.
The LiveView tracking system works excellent. All of our trucks have several jobs each day. We can check the progress on any of our trucks whenever we find a need to do it. June 1, 2015 by Chris T.
I use the G5 unit in my boat. I live in an area where a certain type of boat is stolen often and I use this unit so I know where the boat is at all times. The features are perfect for this kind of asset protection. The customer service at Live View is great. June 1, 2015 by Mike L.
Great product! We have them on all of our company vehicles. Easy to use. Would definitely recommend! June 1, 2015 by Vincent P.
This device gives us much peace of mind, knowing where are drivers are, how fast they are traveling, or any possible abuse to our delivery vehicle. The added benefit of replay is also a plus. Thank you LiveView! March 18, 2014 by Newton F.
August 1, 2010 by Steve S.
I own a small HVAC company with three service vans. after installing a G5 in all three of my vans I found out that one of my techs eats at sit down restaurants on a daily basis he's not eating fast food while driving between jobs like he's been claiming on his time sheets. considering that him and his helper are being paid a combined $30 per hr their lunch's were costing me an average $90 per week. Besides this there are other things I've been made aware of only after installing the gps devices, I wish I would have done this A LONG time ago. July 1, 2010 by Vincent P.
What a great device the G5 is! On the very first day we activated it, we saw our delivery driver taking our van home for "bathroom breaks." We caught him in a lie saying he was on his way to a delivery stop when in fact he had just left it! We should have done this a long time ago! Thanks, Liveview! 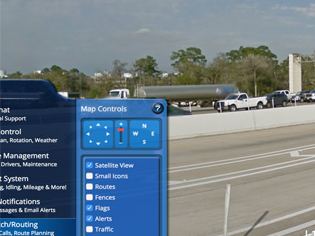 June 6, 2010 by LiveViewGPS, Inc.
Have A Question About "Live Trac G5 Vehicle Tracking" ?